There’s a chill in the air and in the sports world that can only mean one thing: FOOTBALL season is underway! If you’re like me, five days of football a week just won’t cut it! 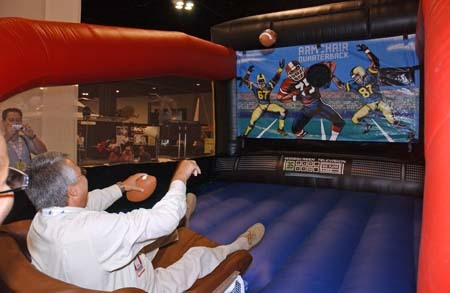 So for those football-free days Amusement Masters has got just the cure for your gridiron grief with our pigskin-themed games perfect for events! Huddle up and let your guest be the star of the game in Quarterback Challenge! Have what it takes to drive the ball downfield? Whether going against others in a two minute drill or playing for “personal best record,” there’s fun to be had by all! Want to be so close to the action that you can practically call an audible to the players? 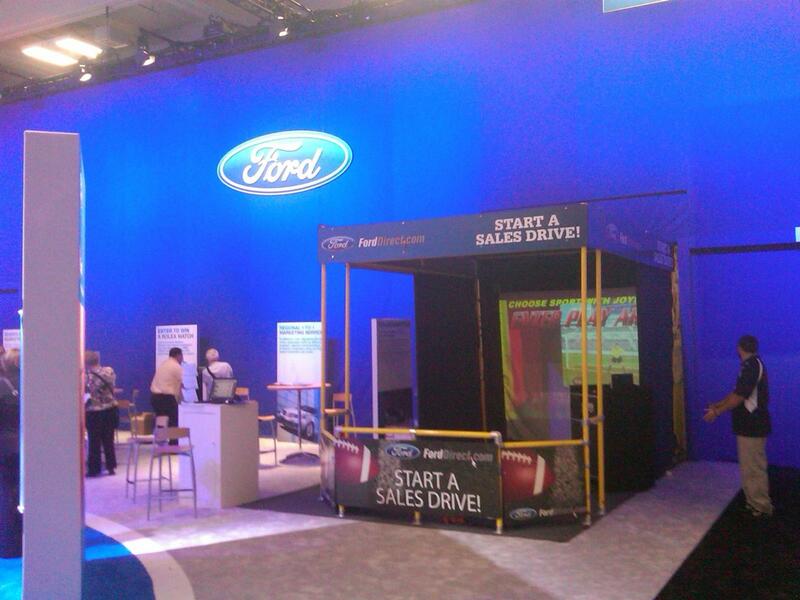 In our Real Sports Simulator you can! 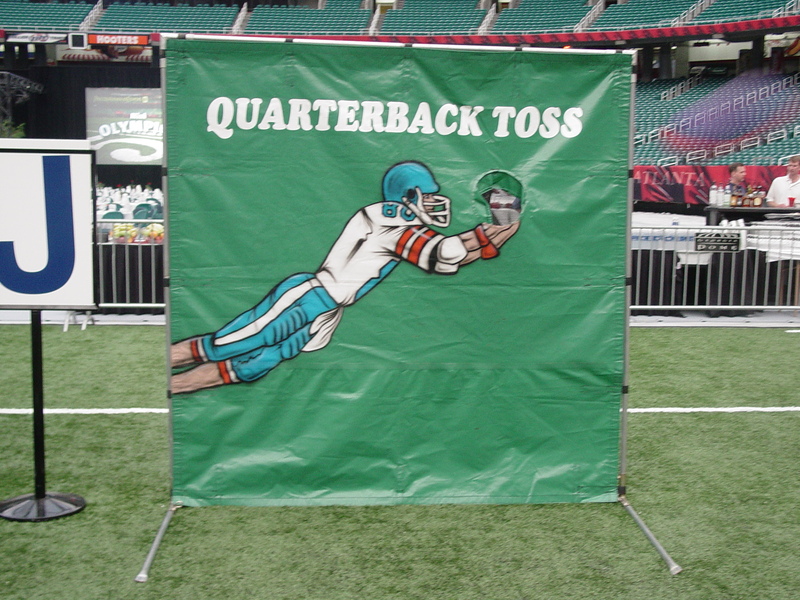 Players can interact with another player as they throw passes and kick field goals to secure the win! They can also brush up on hockey, baseball, basketball and soccer skills so there’s no getting rusty during the off-season!